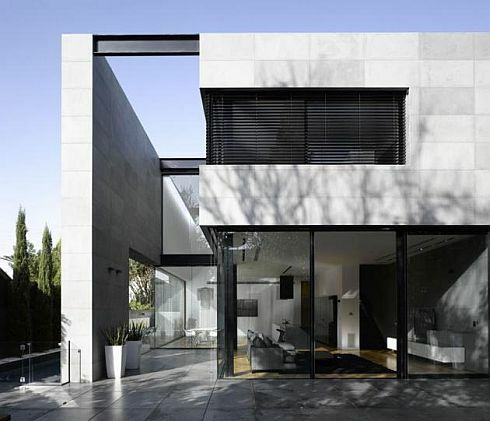 Herzelia Pituah House was designed by Pitsou Kedem Architects and Tanju Özelgin and is located in Israel. A modern residence in all aspects, the crib was especially developed as a holiday home for a family living abroad. According to the architects’ description, “the building’s architectural design is based on three central masses that surround a large internal courtyard with a swimming pool at its center. The masses comprise the border and the barrier between the street, the neighbors and the home’s interior and between the internal courtyard and those same spaces. The central theme was to create dynamic walls that allow, on the one hand, the elimination of the boundary between the central courtyard and the internal spaces, and on the other hand, the creation of a changing and dynamic facade that allows for the total closure of the façade or different levels of exposure or concealment.” Have a look at the photos and plans below for a general idea and let us know what caught your attention.